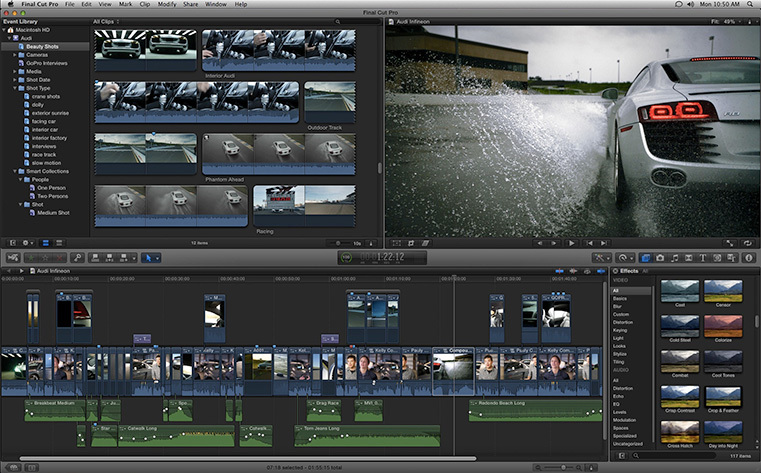 Final Cut Pro is the world’s leading video editing software. It is used to produce most films, tv shows and corporate videos. This course is taught by professional video editors. They will make you comfortable with every aspect of the editing process, from organizing your raw footage to editing and refining your edits. They’ll guide you through editing audio, adding effects, and finally exporting your footage. Prerequisite: Familiarity with the computer and mouse. In this hands-on course you will practice essential editing functions and professional workflow techniques while becoming increasingly comfortable with the user interface. We start with basic video editing techniques and work all the way through FCPs powerful advanced features. This is the ideal course for those looking to get started in Final Cut Pro X.